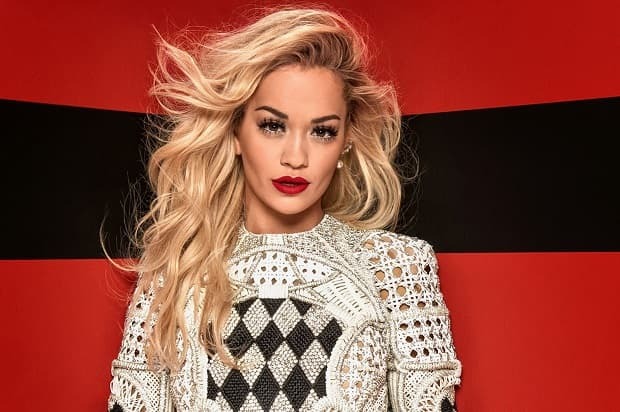 If you can forgive the shocking pun in the headline, Rita Ora, the newest of the judges on The Voice UK, is worth a small investment to be this series’ winning manager. It’s very early days in this year’s competition and we’ve had just two blind audition shows so far. We reviewed the first show and picked out an early outsider to win the whole thing last week. Twelve artists have now been chosen across the two programmes, so let’s have a look at the singers that got the judges’ chairs spinning this last weekend. The brilliantly-named Jake Shakeshaft covered Ed Sheeran’s ‘Thinking Out Loud’, and eventually had three judges turning, with Tom Jones and Rita Ora leaving it to the last minute to hit their buttons. will.i.am had turned round early on in the song, which worked out well for 19 year-old Jake, as he revealed later that he had hoped to get on Team Will if given the choice. He had a great look and a great voice, and it will be interesting to see what will.i.am can do with him later in the series. Identical mirror twins, Hannah and Naomi, sang Sarah Brightman’s ‘Nella Fantasia’, and their harmonious voices brought the inevitable comparison to two angels. Ricky was the only judge to turn around for them, but all of the coaches were complimentary, and they are certainly a unique pair. Exactly how they will be developed throughout the show is a tough one for Ricky, and it’s difficult to know what direction he’ll take them in. That cools our interest from a betting perspective. Hairdresser Clark Carmody was the most striking performer of the night, and he used his remarkable voice to full effect, covering Sam Smith’s ‘I’m Not the Only One’. Rita Ora took no time to press her button, although Tom Jones presented stiff competition when he also turned later in the performance. Clark elected to side with Team Rita, and adds a considerable string to her bow at this early stage in the competition. He looks capable of going a long way. Sasha Simone is a trainee bricklayer, but looked a million miles from a building site on Saturday night when she performed a mash-up of Beyonce’s ‘XO’ and Lordes ‘Royals’. Although her voice was in and out of tune with obvious nerves, her passion shone through at times when she got it right, and both Ricky and Tom heard enough to want to work with her. She was clearly emotional after the audition as she chose to represent Team Tom, and it will be interesting to see what the crooner can do with her. Shellyann covered Seal’s ‘Kiss from A Rose’ with an accomplished style, and it’s clear she’s used to being on stage. While her performance was perfectly good, there was nothing particularly outstanding about it, and Ricky was the sole manager to turn around. He’s quickly filling his quota of artists, but will be pleased by Tom’s disappointment that he hadn’t turned. Part of Tom’s regret was probably more to do with the fact that Shellyann is also from Wales, and her Grandmother used to sing with him, and she doesn’t look like a stand-out competitor at this stage. Jade Hewitt sang ‘Here for the Party’ by Gretchen Wilson, and her obvious enjoyment came across in the performance. Both Ricky and Rita were enthused enough to turn their chairs, and the singer chose to go with Team Ricky on account of their mutual Yorkshire roots. She’s yet another artist on Ricky’s team who performed very well, but doesn’t strike as having anything extraordinary about them. As we’ve seen, Ricky has wasted no time in filling his team up, and has already snagged six artists in the first two shows. Each of the other coaches has just two team members thus far, so Ricky is certainly laying his stall out. Whether that strategy will pay dividends in the end remains to be seen, but he’s favourite to be the winning coach at the moment. His artists include Classical Reflection, Hannah Symons, Jade Hewitt, Letitia George, Shellyann, and Stevie McCrorie. The last-named had one of the outstanding auditions so far, and he could be Ricky’s strongest hand in the show. will.i.am has been much more selective and picked up just two acts – Lucy O’Byrne and Jake Shakeshift. Both had great auditions and look like they could have a big say in the show. With another ten artists to choose, will.i.am has had a strong start with these two. Rita’s pair so far are Ryan Green and Clark Carmody. She picked up Ryan in the first blind audition show after he covered Coldplay’s Magic, and while he may not be the most obvious candidate to win the show, she chose a diamond in Clark this week. He’s quickly been installed as second favourite behind Stevie McCrorie, and gives Rita a strong chance already, with another ten artists to add to her team. Tom’s duo so far are Howard Rose and Sasha Simone. Howard is currently third favourite for the whole thing, after a very unique cover of The Who’s ‘My Generation’ last week, while Sasha certainly looks like she has potential. Tom can also add another ten artists to his team over the coming weeks, and he may have to unearth another gem if he’s to find the eventual winner. At this stage the two most impressive artists, and the two at the head of the betting markets, reside with Teams Ricky and Rita. However, the way that Ricky has filled up half of his team already may leave him over-loaded by the end of the blind auditions and he could miss out on some great singers later on. Rita has brought an enthusiasm to her new role as a coach, and is being very selective over her artists. That could take her all the way on her first appearance on the show.